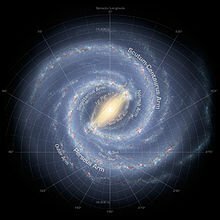 Astronomers wanted to find out how Milky Way galaxy looked from the outside – a difficult task given the Earth is inside it. A comparison of star types in other galaxies gives perhaps an unsurprising result: white. But not just any white – specifically, like spring snow at an hour after sunrise or before sunset. The finding was announced at the 219th American Astronomical Society meeting. “For astronomers, one of the most important parameters is actually the colour of the galaxy,” said Jeffrey Newman of the University of Pittsburgh. Prof. Jeffrey Newman and his student Tim Licquia went about putting the Milky Way on the map of other galaxies that we can see from outside. They gathered data from the Sloan Digital Sky Survey, with information on about a million galaxies. They compared those data with what they knew about the total mass in the Milky Way, as well as the rate of star formation, looking for near matches among other galaxies. For those most nearly matched to our own galactic home, the team took an average and came up with a precise measure of what colour it must be. “The best description I can give would be that if you looked at new spring snow, which has a fine grain size, about an hour after dawn or an hour before sunset, you’d see the same spectrum of light that an alien astronomer in another galaxy would see looking at the Milky Way,” Prof. Jeffrey Newman said. This “colour temperature” is somewhere between that of an old-fashioned incandescent lightbulb and noon-time sunlight; both whites, but subtly different. And what does the colour tell us about our Milky Way’s development – is it a cosmic newcomer or past its prime? “It appears our Milky Way is on the road between those two stages – based on the colour we find, the rate of formation of stars has been declining over time,” Prof. Jeffrey Newman said.